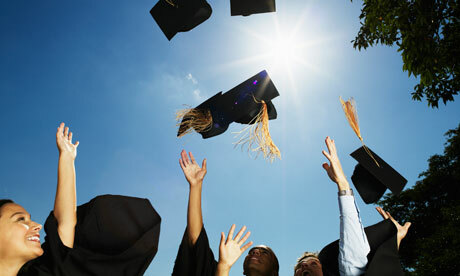 Are Graduates Really Benefiting from Internships? It’s fair to say that internships have come under a fair amount of flak in recent times. To their opponents they favour the privileged and cripple social mobility, and to their supporters they are the ideal transition from education to the workplace. In an increasingly competitive labour market, work experience, and in the large majority of cases, unpaid work experience, has become essential for young graduates to get their foot on the career ladder. From the professional services, investment banking, law, and the media-all of which are predominantly based in London- offer highly competitive internships. But with rent prices at an all time high in London, and with no wage coming in, how is a graduate living outside of the Capital, with no support from the bank of mum and dad, supposed to afford several months of unpaid labour? The largely Conservative coalition government hasn’t done itself any favors in its attempt to shake off its reputation as being out of touch and elitist in this matter. Tory MP Graham Evans was chastised in January 2012 for advertising a six-month unpaid work placement “ideal for undergraduates”, as youth unemployment soared over the one million mark. While at a £400-per-head Tory fundraising event, internships at a number of City firms, including banks and hedge funds, were auctioned off to bolster the Conservative Party coffers. There is undoubtedly something unpalatable about both of these cases, particularly at a time of deep and far-reaching austerity cuts, and high unemployment. The campaign group Intern Aware suggests that unpaid internships create “closed circles of privilege in the professions” which limit the “pool of skills and talent” from which businesses can recruit. To the gifted graduate who is unfortunate enough not to have wealthy parents who attend dinner parties with the board members of global investment banks or city law firms, George Osborne’s mantra of ‘we’re all in this together’ must sound unreassuringly hollow. So, how are these so-called “closed circles of privilege” broken? The answer: by forward thinking companies who are willing to invest in the future prosperity of their respective organizations. According to Intern Aware, as of 2011, over one third of all graduate jobs were allocated to those graduates who had already served as an intern with the company currently employing them. If this is the case, then surely it makes more sense for businesses to offer work experience placements to the most promising applicants, rather than to the highest bidder or most wealthy. This is only possible however, if companies provide a wage for the intern’s services, sufficient for them to support themselves while there. By doing so, a firm will have a larger pool of applicants to choose from, ensuring broader diversity, and more importantly, a higher caliber of candidate. If more companies viewed taking on interns as part of a long-term investment, rather than viewing them as a few months of free labour, then it’s fair to say that the diversity of the professional sectors would increase, and cease to be monopolized by the old boys’ network and the privileged few. There are definite early signs of what could prove to be an eventual shift away from unpaid, to universally paid, internships. On job search boards, such as the one found on Strike-Jobs.co.uk, there are an ever -growing number of London based companies advertising paid internships across all the sectors. If more firms follow suit, then it might give graduates hope that we really are all in this together, after all.